UCL research highlights the potential benefits of testing for the gene FTO from a weight control perspective. 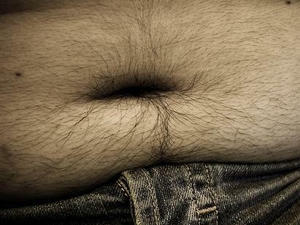 A study has suggested that obesity gene testing can have a positive effect on people's attitudes towards their weight. Research conducted by scientists from the Health Behaviour Research Centre at University College London (UCL) found that gene testing does not put people off weight loss. In fact, the study found that connecting weight issues to an individual's genetic status can help to reduce self-blame among people who are overweight. Professor Jane Wardle and Susanne Meisel at the institution tested 18 volunteers for FTO - a gene found by previous studies to increase the risk of people becoming overweight. They also interviewed the subjects - who spanned the weight range from underweight to obese - about their experience. The researchers found that volunteers were "very enthusiastic" about receiving their genetic test result. Subjects who struggled with their weight said the genetic test result was "helpful" because it removed some of the emotional stress attached to weight control. None of the 18 volunteers reported a negative reaction to their result or said it made them feel unable to do anything about their size. As such, study leader Susanne Meisel said the results of the survey were "encouraging". "Regardless of gene status or weight, all the volunteers recognised that both genes and behaviour are important for weight control," she noted. "The results indicate that people are unlikely to believe that genes are destiny and stop engaging with weight control once they know their FTO status." Ms Meisel said that although the subjects knew the effect of FTO was only small, they found information about their genetic status "motivating and informative". Those who are conscious of keeping their body slim, trim and healthy as possible might be interested in taking an antioxidant supplement, such as Green Tea-ND extract from Premier Research Labs, available from the Really Healthy Company. Research published in the Springer journal Naunyn-Schmiedeberg's Archives of Pharmacology revealed that a green tea extract, such as the aforementioned supplement, may be an effective herbal remedy to help people to control their weight, as well as regulate glucose levels in those individuals with type-2 diabetes. This is because components of the extract have been shown to inhibit intestinal glucose and lipid uptake.